For those who always thought they would become James Bond. 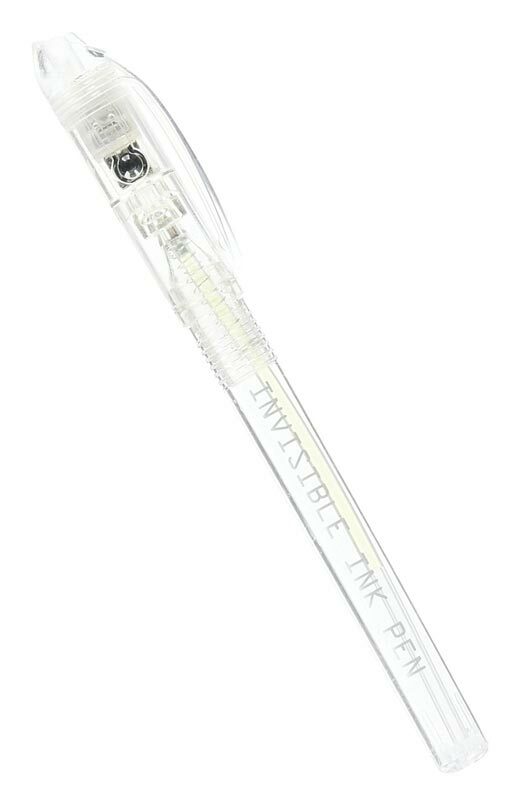 This pen writes with invisible ink, only visible under UV light. 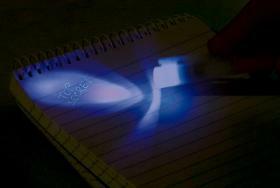 It also contains a UV backlight in the cap. j'ai déjà commandé en 2012 et j'adore ce marchand qui me fait rire ou rêver !